“I’m used to getting strange looks when I walk into the classroom. I teach African-American literature. And I am Korean-American. For the next few days, I watched television around the clock. I heard about the black community’s anger at the Rodney King beating and the acquittal of four white police officers. But I also heard of their anger over Soon-Ja Du, a Korean shopkeeper who had fatally shot fifteen-year-old Latasha Harlins and was sentenced to probation. Korean-owned businesses were being targeted, and my parents feared their store would be next. My parents were lucky. Their business survived. But the message was clear. Blacks and Koreans didn’t get along. It wasn’t until graduate school that I took my first class in African-American literature. I almost didn’t sign up. What was I doing studying black people? Shouldn’t I be taking Asian-American literature instead? How did this stuff relate to me? Don’t get me wrong. I know that the Asian-American experience is different from the African-American experience. 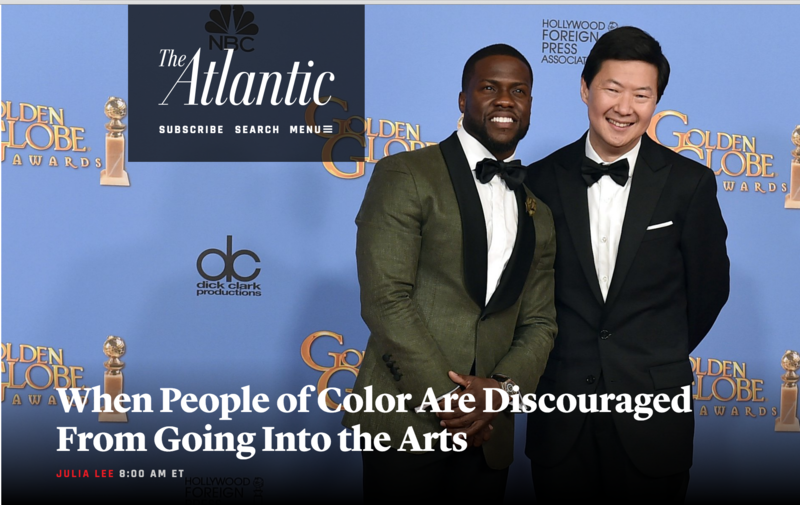 The stereotypes I confront are very different from the stereotypes that confront the black community, and Asian-American history is distinct from African-American history. I would never gloss over those differences. But Douglass and Du Bois and Ellison spoke to me in the way that all great literature speaks to its readers. It resonated across race and place and time. I was transfixed by Douglass’s struggle to escape from slavery, by Du Bois’s account of his racial awakening, by Ellison’s descriptions of the blues. I marveled at the way black writers channeled their frustration and pain into art. I wanted to study African-American literature, but I also wanted to teach it. Some people were skeptical when I told them of my decision. “You have no idea what it’s like to be black,” they said. “How can you teach black literature?” It’s true that I will never fully know what it’s like to be a black American. But I’ll also never fully know what it’s like to be a white Englishman, or a Jewish Holocaust survivor, or a Russian exile. Does that mean I can’t teach Shakespeare, or Wiesel, or Nabokov? Others wanted to know, “Why don’t you teach Asian-American literature instead?” I do sometimes teach Asian-American literature, but it’s not my primary field of expertise. Just because I know what it’s like to be Asian doesn’t automatically make me an expert in Amy Tan. On the other hand, I have six years of graduate training in African-American literature and wrote a book on slave narratives. Ask me a question about Douglass, and I’ll talk your ear off. Of course, most people are simply surprised when they find out what I teach. You don’t often hear “African-American” and “Korean-American” in the same sentence without thinking of racial conflict. But maybe that’s the whole point. I want to open up a conversation, and not just with my students. When I first told my parents I was studying African-American literature, they also wanted to know why. Twenty years after the Los Angeles riots, I could finally begin to answer their question.